Advocacy is a core component of NAMI's mission. Yet many NAMI members feel uncomfortable in talking with people in government. One should remember that the government is in the business of providing services to its citizens. 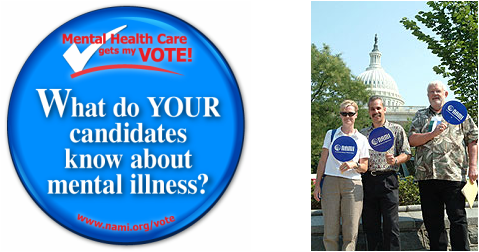 We elect members to represent us at the local, state, and national levels. As constituents, we should frequently communicate our ideas and concerns with them. NAMI's website has great tools to assist us in advocacy efforts. Visit http://www.nami.org/Learn-More/Public-Policy to become acquainted with these tools. There are two bills being discussed in the hall of Congress--S 1945 and HR 2646, which passed unanimously on July 7, 2016. HR 2646 goes to the Senate next. It is very encouraging to read about proposed legislation that will profoundly help individuals with mental illness; however, there is some degree of difference between the bills. NAMI seeks compromise. Contact US Congressman Tom Graves, Georgia's Congressman in the 14th District and ask him to support legislation that helps people with mental illness. His phone number in Washington is 1-202-225-5211 and email is RepGraves@mail.house.gov. Congressman Graves has a Rome office. His contacts are Jackie Money and Linda Liles and can be reached at 706-290-1776 or by email, jackie.money@mail.house.gov andlinda.liles@mail.house.gov respectively. Visit NAMI GA for explanation of the priorities and up-to-date issues. First, determine who you want to contact. Either state senator or representative. Scroll down to locate the applicable map to use to look up the district you live in. Navigate to either the "House of Representatives" or "State Senate." Search for appropriate district number and locate name. 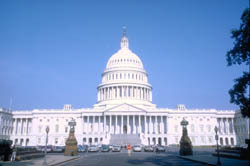 Click on his or her name to find contact information and list of committees he or she serves. Make phone contact by identifying yourself, where you live, who you are with, and why you are calling. Be specific as to your advocacy need or request. Or make email contact and follow the same as above. Note: telephone is preferable. Related Links Georgia House and Senate Districts. Go to site and click on the one you wish to see.